Ayurveda is a holistic science of health, focusing on maintaining a physically and emotionally balanced state. 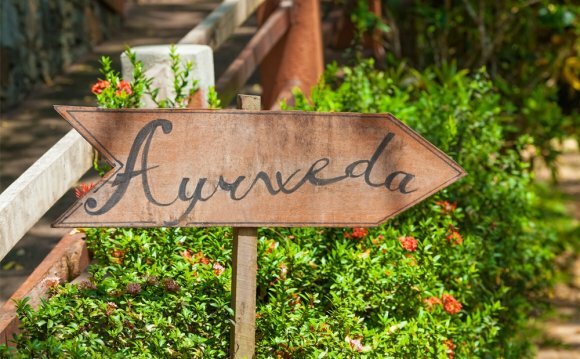 Ayurveda began about 5, 000 - 6, 000 years ago when Indian monks were looking for new ways to be healthy. Revering their bodies like temples, the monks believed that preserving their health would help them meditate and develop spiritually. Over thousands of years of observations, they gathered all their conclusions and advice and preserved it for future generations. This collection of knowledge came to be known as the "science or knowledge of life" - Ayurveda. 1. Vata Dosha - Energy that controls bodily functions associated with motion, including blood circulation, breathing, blinking, and your heartbeat. 2. Pitta Dosha - Energy that controls the body's metabolic systems, including digestion, absorption, nutrition, and your body's temperature. 3. Kapha Dosha - Energy that controls growth in the body. It supplies water to all body parts, moisturizes the skin, and maintains the immune system. Characteristics for Vata predominant types: Creative; Quick to learn and grasp new knowledge, but also quick to forget, Slender; Tall and a fast-walker; Tendency toward cold hands and feet, discomfort in cold climates; Excitable, lively, fun personality; Changeable moods; Irregular daily routine; High energy in short bursts; Tendency to tire easily and to overexert; Full of joy and enthusiasm when in balance; Responds to stress with fear, worry, and anxiety, especially when out of balance; Tendency to act on impulse; Often have racing, disjointed thoughts; Generally have dry skin and dry hair and don't perspire much.